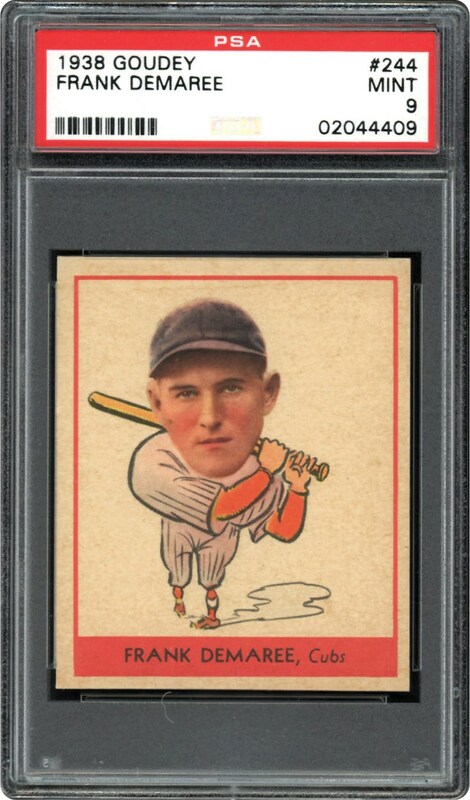 Lot # 96: 1938 Goudey “Heads-Up” #244 Frank DeMaree (PSA Mint 9) - “1 of 2” & HIGHEST GRADED Example! 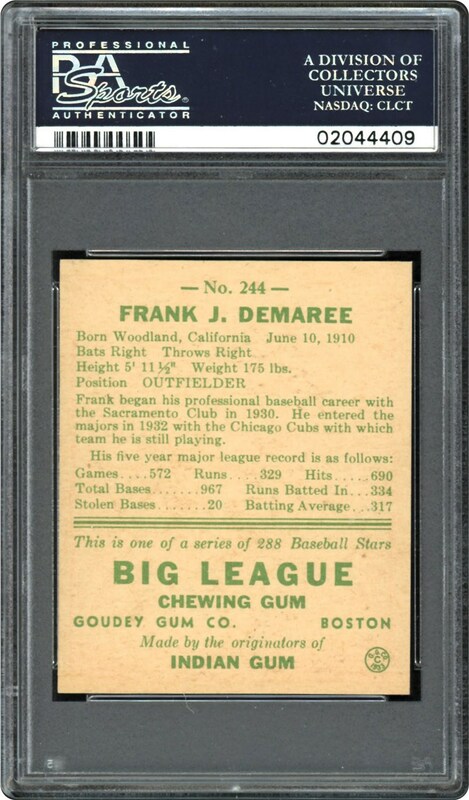 1938 Goudey "Heads-Up" #244 Frank DeMaree (PSA Mint 9) - "1 of 2" & HIGHEST GRADED Example! Extremely rare for the grade, this miraculous 1938 Goudey PSA Mint 9 offering of the Cubs slugging outfielder Frank DeMaree shares the title of the "best of the rest" with only a single other copy! Most sophisticated enthusiasts would surely agree that locating a "Mint 9" 1938 Goudey is no simple task, with PSA's illustrious population report listing only 23 or 0.4% of the 5,400+ encapsulated 1938 Goudey subjects as Mint 9 specimens. A museum worthy offering to say the least, it merits the highest hobby accolades via its pristine-like aesthetics and pinnacle grade!